Fantastic! I love your interpretation of the young saint's fate. It's fitting for a January day with snow sifting down from a dark sky all perfect, pristine and white, white, white. Wow, Mary Lee--how did you do it? Absolutely spot on. 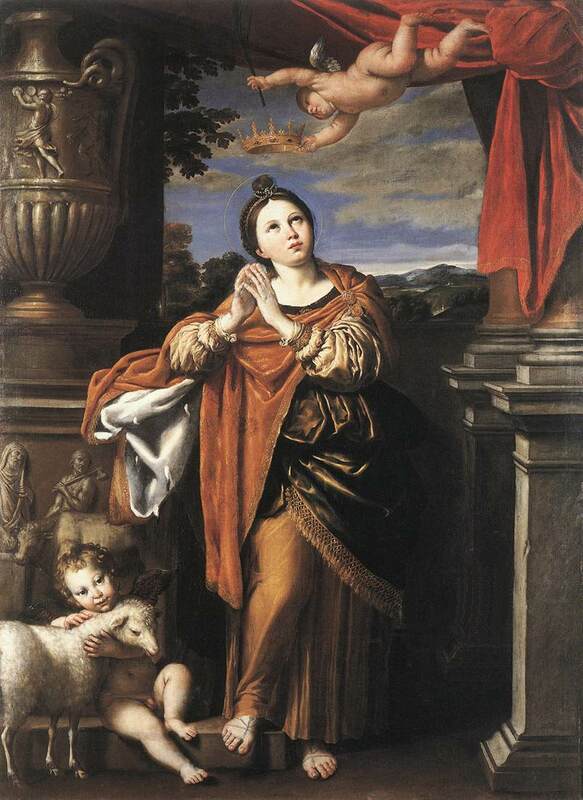 I have to admit, I often lose sight of the subject in stories of the saints, but you have certainly restored Agnes here. I remember one poor girl who was cast into an arena and eaten by ravenous seals. That surprised me; since I didn't imagine seals were like that. Now, I do.